Who doesn't love a giveaway? One of my favorite polish suppliers, Nail Polish Canada, came up with a really cool way to team up with bloggers to give one lucky winner up to 200 polishes. Each blogger that signs up nominates a polish to be included in the prize pack and for each new blogger the prize increases by one polish. So which polish did I choose? 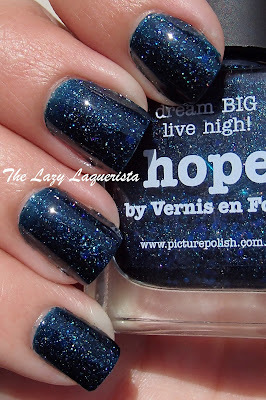 One of my all time favorite Picture Polishes: Hope. 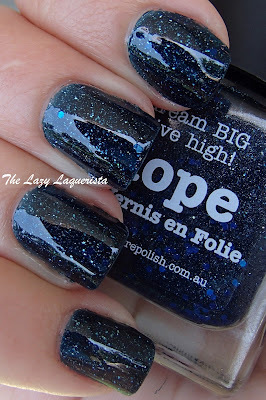 Hope features a dark blue jelly base filled with teal micro glitter, holographic micro glitter and handful of small blue hexes. 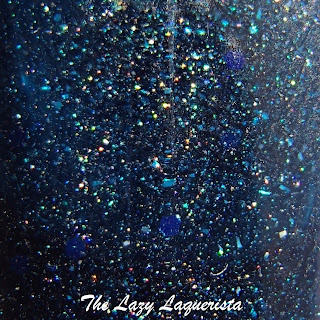 It has a fantastic formula and needs two coats to go opaque. These swatches show two coats of Hope with one coat of CND Super Shiney top coat in natural lighting. Use the rafflecopter below to enter. 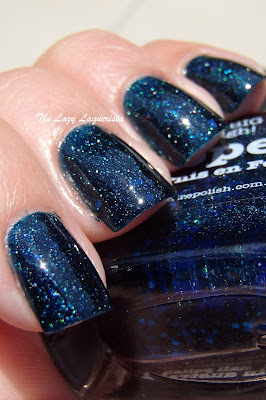 You can gain extra entries by going to each blog that has nominated a polish. "You can gain extra entries by going to each blog that has nominated a polish." Which other blogs nominated a polish? Check out the NPC prize page: http://www.nailpolishcanada.com/categories/the-great-polish-giveaway-of-2014.html. 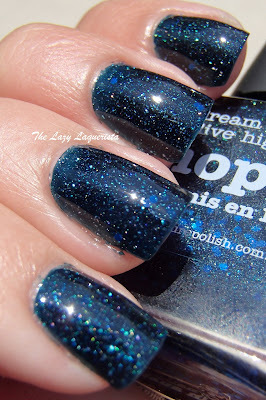 Each polish has the blog that nominated it underneath the picture.